News It's Biscuit Time: Cooking Demo with Celebrity Chefs! Join beloved TV chef Carla Hall (former co-host of ABC’s Emmy Award-winning The Chew and featured on Bravo’s Top Chef) along with Chadwick Boyd, host of the popular “Reel Food” series at the movies! These celebrity chefs will be spilling their secrets to baking perfect biscuits. 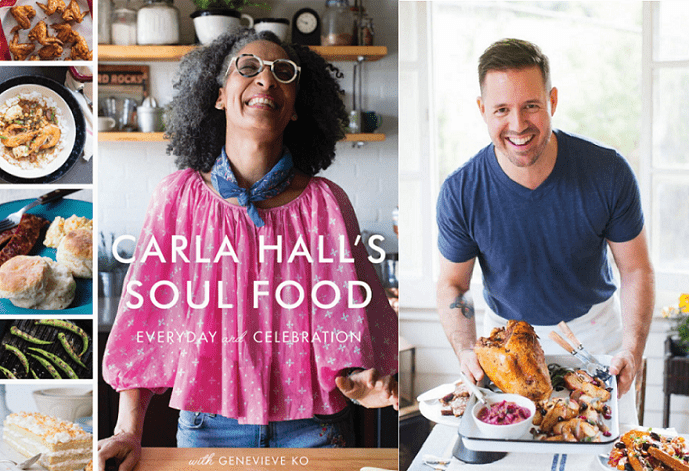 After the demonstration, you’ll also get the opportunity to purchase a signed copy of Carla’s new, best-selling book, Carla Hall’s Soul Food. Carla will be making Flaky Buttermilk Biscuits from her book and Chadwick will bake up his Carrot Sage Biscuits. Carla will also explain how she went back to her Nashville roots for her latest book, a fresh take on America’s favorite comfort cuisine. Free Admission includes biscuit lesson and biscuits to sample, while VIP Admission includes biscuit lesson, biscuits to sample and a signed copy of Carla Hall’s Soul Food. Book your admission here! Wish you lived closer to the vibrant Ponce City Market? We have gorgeous Old Fourth Ward Homes available here!